Fat Smash Diet – Does Fat Smash Diet Work? Being a professional on the well-known VH1 TV program ‘Celebrity Fit Club’, Dr. Ian Smith has established an excellent reputation for his serious method of dieting and exercising. He is a Harvard graduate, a health adviser on “The View”, has received recognition as an author of two novels and many other books, and is a contributor to “Men’s Health” magazine. Information on the Internet suggest that both Smith and his book, The Fat Smash Diet, have acquired a loyal following. The official website is little more than an advertisement for the book, and thus there isn’t any useful information regarding the diet. There is a long, detailed, and passionate description by him. Discussing his beliefs about the entire diet and exercise procedure, he definitely doesn’t hold back his opinion when he talks about the reasons other diet programs fail. His philosophy consists of not scolding yourself too much for any ‘mistakes,’ and this diet program was really created in a way to let the dieter have an occasional break. The website for the Fat Smash Diet features testimonials from other dieters, called “Fat Smashers,” who have experienced great success and given detailed descriptions of their progress. Fat Smash Diet Ingredients and Why it Matters? Although there is very little information available on the official website, there is plenty of information available on other sites. There are four phases to the Smash Diet, which build upon each other as you move between phases. Stage one is definitely the main part, since this is the time that people ‘cleanse’ their bodies, gradually removing them from food that is bad for their health like sugar, fat and refined carbohydrates. The food that can be eaten in this stage is very limited but this only continues for 9 days, and based on what various users say, the outcome is very good. Phase 2, labeled the Foundation, encompasses a three week period in which dieters are allowed to include some additional foods, like lean proteins and low fat cheeses. Phase 3 goes by the name Construction, and lasts a period of four weeks, during which the dieter introduces an even wider variety of healthy foods into the diet. The final phase, Temple, has been designed for life long good habits and regular exercise developed in the earlier phases. Although this is a diet which mostly focuses on eating habits, Dr. Smith stresses the importance of exercise to weight loss and recommends cardio exercises at least 5 times per week, with that amount increased in time. What are the Pros of Fat Smash Diet? Dr. Ian Smith is widely known and has a good reputation as a health professional. The diet will only cost you the $12.50 required to purchase the book. It is easy to understand the Fat Smash Diet, and the diet is useful for getting rid of bad food habits and addictions. The diet accepts inevitable mistakes – the user can just return to a former step to get back in the groove. Both men and women may use this plan. This diet program is created to maintain weight loss by’re-programing’ the user and their connection to food. Independent online reviews for this book and diet have been very good. What are the Cons of Fat Smash Diet? This program might be considered as just an additional ‘reality TV episode’ based temporary diet. 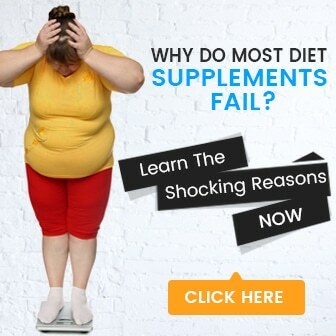 There is almost no real information about the Fat Smash Diet on the website. The initial phase of this diet This Diet is an excellent and inexpensive starting point for someone who wishes to make permanent changes to their eating habits.severely limits foods and quantities. There isn’t any individual encouragement for people who use this plan. This Diet appears to be fairly successful at getting rid of bad dieting habits and addictions, using a very sensible method. A lot of people will be drawn to this diet because it allows forgiveness and not only can you return to a previous stage, but Dr. Smith also discusses how to get beyond the point where many dieters lapse into old habits, which is known as the dieting plateau. However, we believe that there are many real supplements on the market which could reduce your weight efficiently. Instead of goint for the much hyped diet book, go for a weight loss supplement. Below you’ll find the most effective diet products on the market, we determine these products based on 4 key factors: Active ingredients, ability to suppress appetite, fat burning potential, backed by clinical studies. Ultimately, we determined the bottom-line value of each product. Total Mommy Fitness – Does Total Mommy Fitness Work? Zone Diet – Does Zone Diet Work? Vitalicious – Does Vitalicious Work?